After talking to local partners we have decided to send in a team to Ecuador.Our local partners will pick us up in Quito and on Tuesday morning we will head to the coast near the epicenter. Our first priority we be to determine what the rescue needs are. Our team is equipped with the tools needed for search and rescue. We will partner with the local fire departments and hospitals to evaluate the needs there. We will also meet with local authorities to assess the future needs and will send more if necessary. Please consider donating to this cause as we are all volunteer and depend on donations to continue to provide relief. We are a Non-Profit, 501 (c) 3, tax-exempt organization. I'm not sure how I'm writing this in a truck full of people descending from 9000 ft in Quito to sea level. It's like we are in a Red Bull extreme sports video. We are Enroute to the coast to assess the need and help as we can. We have made a great response time and Are even passing the Red Cross convoy. If I make it to the coast alive, I will be fluent in Ecuadorian Romance songs being that is all that is on. More later. We are stopping in Esmaraldas to replace the steel on steel brake pads. Seriously. It's the smell you never forget. Burning garbage, concrete dust and death. It' s everywhere. We are in Pantagales. Houses are leveled, people are dead or missing. Yet, the people smile. They are so thankful we are here. At this point all we can do is try to find the remaining 17 missing friends and family and give the family some peace. Please help us do this. Even a small donation will help keep teammates from One Flag Disaster Response Team responding until everyone is brought home. 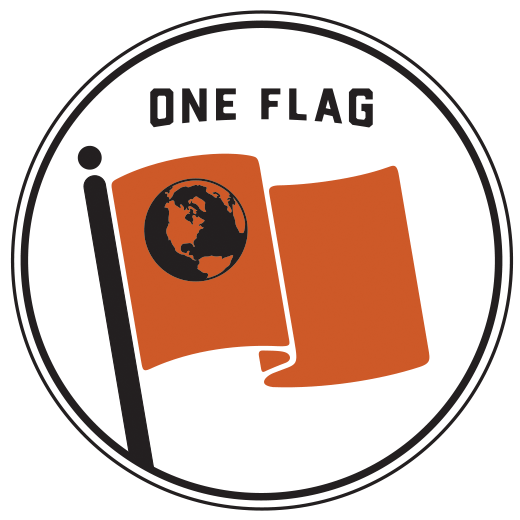 We're excited to announce the new One Flag DRT website, oneflagdrt.org. Be sure to check back to this blog frequently to get updates on everything happening with One Flag.